I guessed about $80 and when I checked it was $75 in notes. I didn’t check my coin purse. IGNORE, which is what I tried and failed to do with this meme. Saturn, great big gaudy lump that it is. No stylish understatement about it at all. I don’t actually have favourite ring tones as such, more like least irritating. A pink Indian cotton shalwaar kameez tunic. I have several similiar that are my essential summer wear – light, cool and comfortable. 8. Do you “label” yourself? Not in a “what do you do?” way. (I hate that, and try to avoid asking it whenever possible). I’ll cheerfuly own up to pedant, curmudgeon and skeptic though. Bright daylight, prefer pools of lamplight at night rather than a central overhead light. Stainless-steel waterproof chronometer that my husband bought me on our honeymoon, saying it would be the last watch I’d ever need and I’d never have to worry about taking it off in order to do anything. He’s right, but it needs a service as I neglected it last year and the year before and it’s starting to lose too much time to be reliable at the moment. From a week ago, my son’s school asking me to provide a reason for his absence (he was at home with the flu). Silly Americanised question. My nearest extended hours convenience store is at the BP petrol station a few blocks away. 16. Whats a word that you say a lot? Absolutely. I wish I didn’t. Our household’s totalitarian feline mistress, Molly. Coffee in the morning, wine with dinner at night. 29. Not age denial, really 29 – married and expecting my first child, and those first few months after he was born. An intense, moving, memorable time. 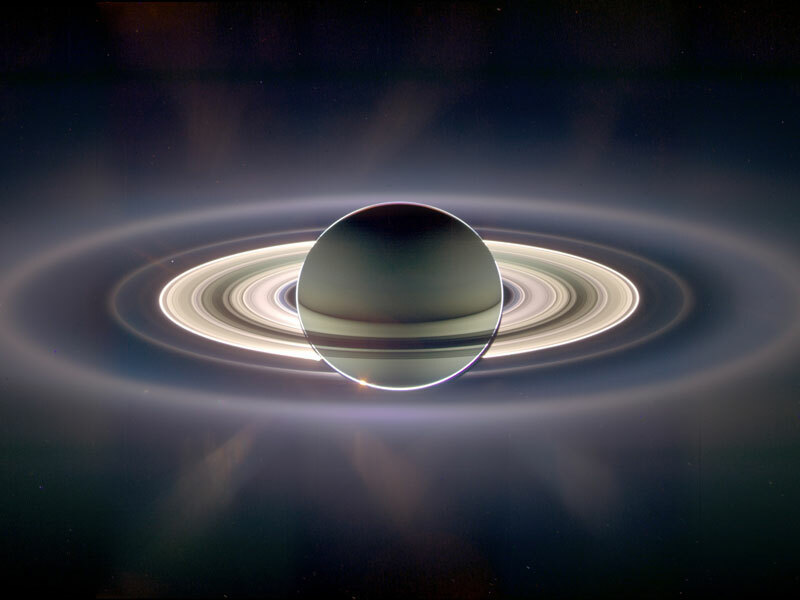 This fabulous picture of Saturn taken by the Cassini spacecraft. Yes darling, you may have a TimTam. I like lots of people. People are fascinating. Fun too. I’m far from the first to note that this is an odd question. Some Disney pap on the console game my kids were playing earlier. Eevil. Don’t really have one. When asked to think of a number I always think of 7 first, but that doesn’t make it my favourite. I’m fond of primes and squares, sometimes tapping my feet in complicated patterns of them when bored in high school. In Sydney, studying for my physiotherapy degree. Like Pavlov’s Cat, my inner pedant must ask whether this question is meant to be about envy, not jealousy. I have no call to be jealous of anyone, but I do envy some people who are more organised than I am and therefore less stressed. I seriously doubt it. I may perhaps be envied for my beautiful, healthy, well-mannered children. At home watching TV with my husband. We kept watching for hours, unable to tear ourselves away from the drama and horror. I’m glad the feed we were watching was one which didn’t show the people jumping. If there’s a manager around I’ll ask for a refund, but that’s a rare situation. I usually shrug it off. Yes. On matters trivial I can be impatient or grumpy, but in emergencies or true angst/pain I am not only kind but calm and competent which is often even more important. I don’t know where, but I do know what. The IPU logo, symbol of the Invisible Pink Unicorn. I’ve long been aware of the IPU as an analogy used amongst atheists when discussing the nature of faith and revelation, and the idea of the IPU logo is as a way to identify yourself to other atheists without being antisocial to theists. I think it’s a rather elegant logo. Definitely a Romance language, I love the sound of all of them. Probably French. I’m not sure I have one. Maybe I should, it might make me more focussed. I’m not sure. I’m accustomed to Sydney and would miss it, but I don’t know whether that makes it my favourite. I enjoy visiting Melbourne and Brisbane, I’m extremely fond of small coastal towns along the SE coast of Australia generally, and I find London and Paris totally absorbing. Years. I fill out forms and mail them to companies/bureaucracies, I write notes to accompany packages in the mail, but an actual letter? No. Yes, at least I know how to and have done so in the past. 20 years ago. Also the tyres, the battery, the fan-belt, the brake-pads and the head-gasket. Don’t know that I’d bother doing any of it myself these days, except an emergency tyre or fan-belt incident. That he got married a few years after I did, I can’t remember when that was exactly, but I’ve been married 15 years now. I fantasised for years after we broke up of how one day our paths would cross and I’d just be so fabulous that he would headbutt a wall with regret for what he was missing out on because he dumped me, but then I was only 22 when we broke up. I hardly think about him now, except on my sister’s birthday every year, because his birthday is the day after. Then I usually subvocalise a short wish that he’s happy in his life too, because although he broke my heart it wasn’t done from malice, and we wouldn’t have suited each other in the long run. Seven generations in Australia of my father’s paternal ancestry, about four generations of his maternal ancestry. One of his cousins has much much more data on the paternal ancestry in Ireland and Scotland, but I’ve never read much about that far back. On my mother’s side, only know about three generations back here in Australia, and a few vague family stories about Wales. The main ancestor told stories of is the convict from Ireland: transported for political reasons, promoted to workgang-leader because he was respected and competent, but repeatedly busted down and punished for letting other convicts escape or striking a guard for whipping a convict too harshly. The records of his time in Tasmania show that the promotion-punishment cycle happened over and over again while he served out his conviction. I don’t dress fancy very often. Neat casual is my usual standard for a night out. I wore a skirt with some sparkles on it to a birthday bash for a fellow blogger a few months ago, and I broke out my best jewelry for my birthday night out. My neck aches. I slept on it wrong last week and it’s taking some time to get better. Oh yes. Burned hard. But I wouldn’t fully appreciate the loving partnership I have now without the disappointments of the past. I so love this idea. A feminist/female hive mind retreat anyone? Me too on the hive mind retreat. And we would need a very central hive! I wonder if it’s not something we should consider really trying to seriously arrange. For a year from now or something. The Adelaide Writer’s festival has been mentioned as has the Woodford Folk Festival. You can only get an IPU tattoo in invisible pink, so no-one else will see it. Alas, the Adelaide Writers’ Week is biennial, like the festival itself, so only occurs in even-numbered years as it began in 1960 or 62. There’s always the Festival of Ideas in midwinter in the odd-numbered years, though — really excellent national and international thinkers/speakers/writers from the fields of science, economics, art, medicine, religion etc etc etc. I think Canberra is a good idea. At any time except mid Summer. Some sort of Arts Festival would definitely be the go. Anyone got an aged relict with room for guests near a festival next year? Woodford would be fun too though. I was just saying to P yesterday how much I want to go next year. The question ‘would you move for someone you loved’ has struck me every time I’ve read this meme. It plays into all sorts of grand romantic ideas about getting on the next plane just to be with The One. Equally important, I think, is the ability to stay still for the one/s you love. Do you move around the world untethered, or do you stay still long enough to form bonds, take care of ageing parents, and get to know the neighbours? The question implies that you move for your partner, but no one has written much about what that means for the other people one (presumably) loves. How does one weigh up a big move to be with a boy/girlfriend when it means moving away from their relatives, for example? It seems obvious to answer ‘yes’, of course I’d move to be with The One, it’s all about the compromise and the adventure together etc etc. It was my first reaction too. But I know that when I was faced with the possibility of actually moving, I didn’t. As it turned out, The One At The Time wasn’t The Right One, and certainly not The Only One Forever, so I don’t regret the choice. It was also a choice influenced by all sorts of practicalities, like being able to work and support myself (which I couldn’t do there) and by the really important question “if the situation was reversed, would they give up everything and move for me?”. Because if you’re not sure that they would, then your enthusiasm for following them suddenly diminishes (unless you’re a doormat). It’s all very well having a relationship where everyone’s just rolling along seeing what happens when you’re at home near your support system, and you’ve got a job you like and things external to your relationship to rely on when it all turns pear shaped, but most of us are disinclined to rely totally on an untested relationship in an unfamiliar environment. the really important question “if the situation was reversed, would they give up everything and move for me?”. Good point. In some circumstances that mightn’t be a total deal-breaker for me, but it would probably have to involve a substantial inheritance/succession/appointment involving lots of other people dependent on the partner (and they’d have to be people I didn’t loathe). Cristy, when I was growing up we regularly headed to the National Folk Festival over Easter. Great fun! What an excellent idea. We could even work up a madrigal or something amongst those of who warble – several of us do, yes? Also, the Indian tunic-y thing is my summer casual shirt of choice too, and I desperately need some new ones as my existing ones are getting old and shaggy. I will, of course, be the sleep-deprived-maniac-with-small-child, but that shouldn’t stop me from folk festivaling. Tigtog, you are so on with the warble thing! What other cells in Teh Hivemind are warbly ones? Madrigals proper? Ye olde folke something-or-other in accordance with the event? On another matter: where do you goils shop for your shalwar kameezes and such? I know Helen Balcony warbles, and I’m sure it’s not just you who’ mentioned choristing. I’m sure we could send out some parts for something fun like Summer Is Icumen In and maybe some cantu-respondu songs like Banks of the Condamine. I’m not suggesting we should necessarily aim for anything other than being able to do a spot of impromptu harmonising every now and then to be more part of the scene. I haven’t been to a folk festival for yonks, but it always used to be that anyone who can contribute a descant or do a bit of close harmony a third below the melody line risks being shanghaied into jam sessions (oh dearie me how dreadful don’t throw me into the descant patch). For those who don’t warble, we’d still need hangers-on to dong the tuning fork at the start and applaud at the end. I answered that I would not move. I would only move cities/countries for myself. Tig, I didn’t know about the physio past – a woman of many talents, you are! Interesting, Suz. I guess although I would move to be with one I love, I wouldn’t necessarily move just anywhere. It would have to be somewhere I didn’t mind either. Pav, I get my shalwar kameez in various places, but I find that the Indian-ish boutique chain Sunita’s usually has a few nice traditional cotton tunics amongst the more trendy stuff. Heh, I’ve moved internationally for one I loved, and moved with the one I love twice.Not that I was in any way unwilling – and there were always multiple reasons reinforcing the move. I definitely like the shalwar kameez, too, btw, but I tend not to wear it myself except for parties.